High-flying Economics for Business student Jake Gonella has opened up exciting new markets for himself after winning a prestigious award alongside his degree by showcasing his exceptional trading skills. 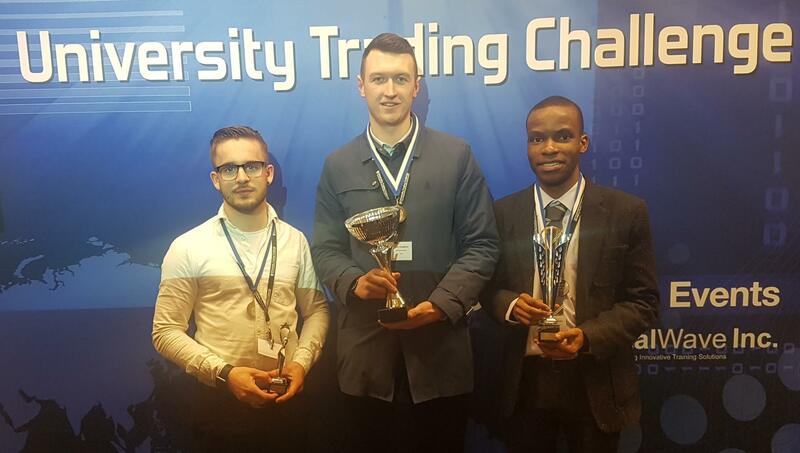 Jake was part of the three-strong Derby team which triumphed in the University Trading Challenge, pitting their wits against finance and economics students from across the UK. He and his fellow Economics students, Tom Vaughan and Walton Mabuto, scooped the competition’s overall award for Best Team Performance as well as the Best Team Presentation prize. Jake himself received the accolade of Best Portfolio Trading Individual. “It’s been an invaluable experience in applying and testing my theoretical knowledge,” says Jake. “To walk away from the competition with three of the top awards highlights the success of our collaborative efforts, the University’s dedication to ensuring we achieve, and my own progression as a student. The competition entails teams going head to head in simulated scenarios for a trading challenge, portfolio challenge, treasury trading challenge and investment banking challenge. As first prize winners, the students will have access to the same summer internship programme that is delivered to top investment banks through financial market training provider Global Markets Academy. At Derby you’ll apply latest economic theory to solve real problems for real businesses. You’ll harness up-to-the-minute data and analytical tools, including Bloomberg. 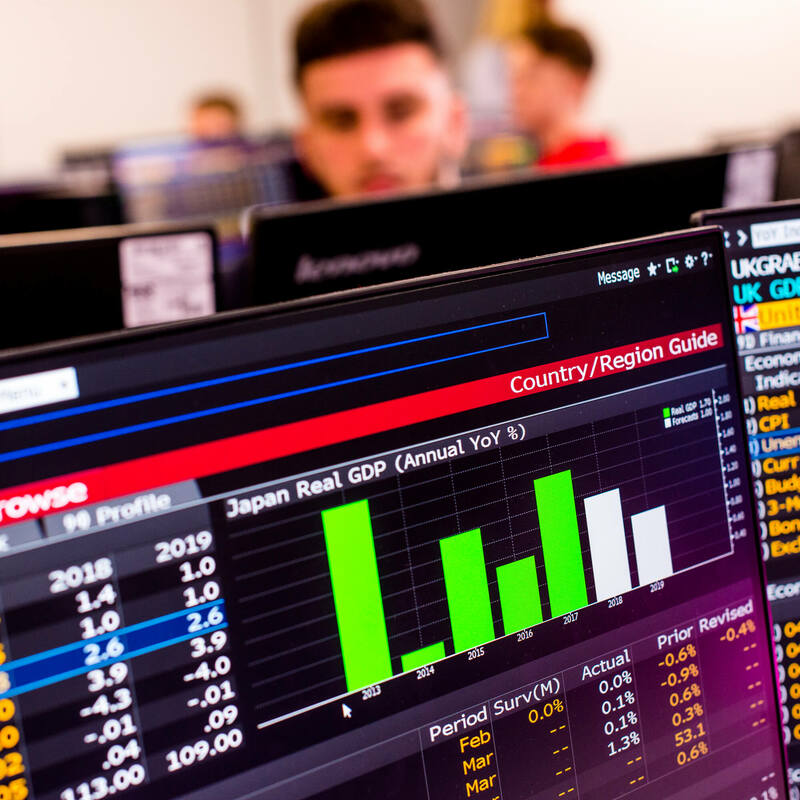 For Jake, the trading challenge was just one among many highlights of his studies towards the BA (Hons) Economics for Business and the “huge array of opportunities to develop employability skills” it offers. He has particularly appreciated the applied approach which enabled him to connect with businesses for his assignments and the chance to harness real-time data in the Bloomberg Financial Markets Lab. He has also gained the Bloomberg Market Concepts Certificate as part of his course, another impressive addition to his CV to let future employers know he is versed in using this software. His time at Derby has provided rich and varied experiences, from spearheading a new Economics, Trading and Investments Society for students to co-writing a report on the city’s economy through the University’s Undergraduate Research Scholarship Scheme.